KOIN CONNECTS YOUR CUSTOMERS TO YOUR MARKET. ANYTIME, ANYWHERE. 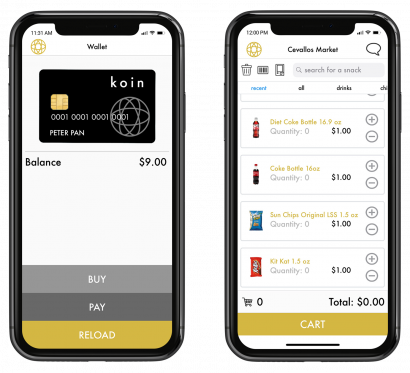 koin connects your customers to their Micro Market via web and mobile app. 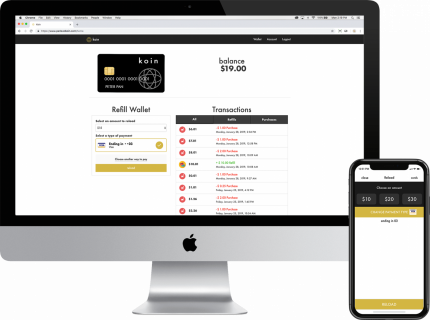 Customers can remotely manage their accounts to reload their wallets, check inventory, provide service feedback, pay from their phone, and other features that enhance your market offering. No wallet? No problem! With koin by Parlevel, your Micro Market customers can pay for products straight from their phone. koin helps you provide added convenience for your customers and keeps you from missing out on sales. 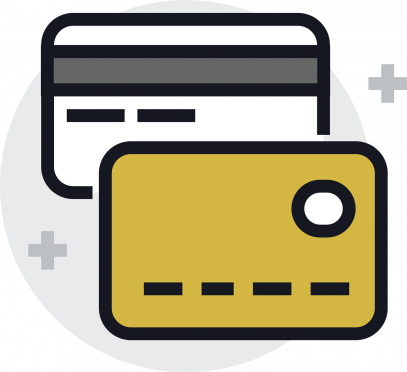 Purchases made through koin are subject to lower or even zero transaction fees. Plus, koin lets your customers set automatic recharges for their stored value account. Once their balance drops below zero, their virtual wallet will automatically be refilled with a pre-selected amount. 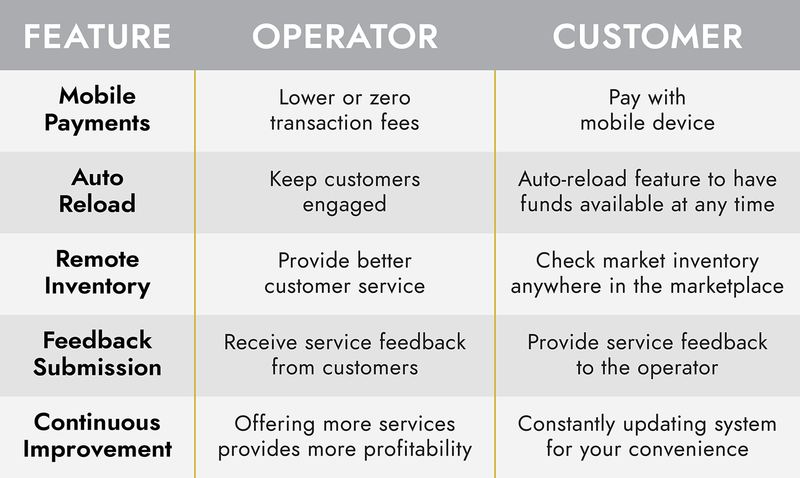 Speed up transaction times and generate more revenue from constant, uninterrupted recharges. Use koin with Micro Market Max to provide locations with over 125 employees the perfect breakroom experience. 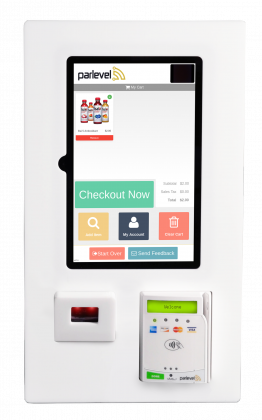 A 21″ touchscreen fingerprint reader, barcode scanner, cashless / cash payment acceptance, and webcam combine to maximize sales, maintain dependable performance, and speed up service efficiency. Perfect for smaller locations, use koin with Micro Market Mini to serve locations with 125 people or less. 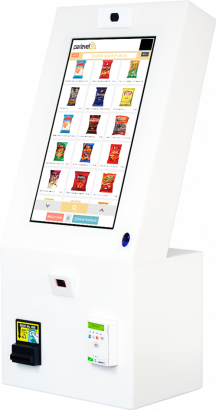 With a 10.1″ touchscreen, cashless reader, barcode scanner, and built-in webcam, you can place your Mini where traditional Kiosks cannot fit. Replace your vending machines with a market setup to increase location profitability.